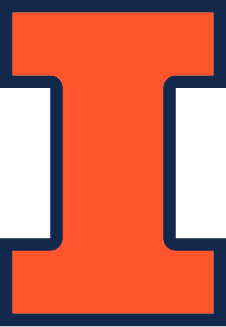 The University of Illinois offers a set of core courses in security aimed to satisfy introductory and advanced students, those with interests in general background or specialization, and those with interests in theory or practice. Please visit the Illinois academics portal to learn about current offerings. This is a Fall course aimed at undergraduates who would like to learn security basics. The course enables students to satisfy NSA educational guidelines for professional training in Information Assurance (NSTISSI 4011). A typical textbook for this course is Introduction to Computer Security by Matt Bishop. The prerequisite is CS 241 or ECE 391. Available in Fall 2012. This is a Spring course for undergraduates and graduates who would like to learn practical security issues in a lab context. The prerequisite is CS461 (Computer Security I) or consent of instructor. This is a Fall or Spring course aimed at graduate students in all areas and undergraduates with strong interest in security. It covers architectural and foundational aspects of security and demands both practical and theoretical abilities. A typical textbook for this course is Computer Security: Art and Science by Matt Bishop. The prerequisite is CS 461. This is a Fall or Spring course aimed at graduate students who wish to begin research in security, either as a specialty or for application in another field, such as networks or data information systems. The prerequisite is CS 461 or CS 463. Available in Fall 2012. CS 591 RHC: Advanced Seminar in CS on topic "Security Reading Seminar"
This is a reading seminar in security that can be taken by graduate students. The prerequisite is a prior course in security or CS 423 or consent of instructor. Available Fall 2012. This graduate course covers advanced topics in network security. The class will teach advanced underlying principles of building secure and trustworthy computer networks. This course covers both engineering and mathematical aspects of cryptography and information theory. Prerequisites are algebra and number theory or consent of instructor. Introduction to concepts of anonymity and privacy of data, including identifiability of data, profiling, data anonymity, and technologies and policies that provide provable guarantees of privacy. Prerequisites include ECE 424 or equivalent. This course is intended to provide a foundation in applied cryptography. It introduces students to fundamental cryptographic notions and how cryptographic primitives can be used to construct larger schemes with security guarantees. The aim of this course is to develop a basic applied cryptography toolbox that students can use in their own research; some coverage of primitive design and theoretical fundamentals will also be included. The prerequisites are CS 463/ECE 424 or a basic understanding of cryptography. The aim of this course is to introduce students to the current research in privacy enhancing technologies, covering topics such as anonymity, censorship resistance, traffic analysis, location privacy, electronic voting, database privacy, and private aggregation. The prerequisite is ECE 428 / CS425 / CSE424 (Distributed Systems) or equivalent, or consent of instructor.